We worked with Becky for our daughter’s senior photos. She was so easy to work with and guided us through every step from beginning to end - even working with the school to be sure the correct photo and format was submitted. Becky was able to combine what we (the parents) wanted with what our daughter wanted. In addition, she was able to look through the lens and see something Caitlin could never imagine and create beautiful photos. Caitlin was so surprised and pleased with the final product! The photos are amazing! The entire session was relaxed, fun and exactly what we wanted. "I'm not really the type of person who really adores being the focus of a camera, but Becky made the day so fun! Not only did the photos I was posed and ready for turn out but also the candids she took! Some of the pictured I wasn't necessarily posed for turned out to be my favorites!! She has a great eye for capturing small moments that turn into wonderful photos. I'm so glad a friend recommended us to Becky, her edits are fantastic and she's an easy person to work with. She makes you feel so comfortable even if you're ridiculously out of your comfort zone." Becky was really incredible to work with because she made the experience fun and relaxed instead of stiff and stressful. I was pretty nervous to have an entire photoshoot focused all on me, but working with Becky was a lot like spending time with a talented friend. She made me laugh even when I was convinced that I would feel too awkward. The end product was a plethora of pictures that I will definitely be proud to show to my grandchildren when I am old! It was an absolute delight to work with Becky McKenzie and I would (and have) VERY highly recommend her to anyone looking for high quality photos that artistically bring out true colors and personality with care. Becky that is all honest! You were a dream to work with and I am soooooo glad that we found you! Thank you! 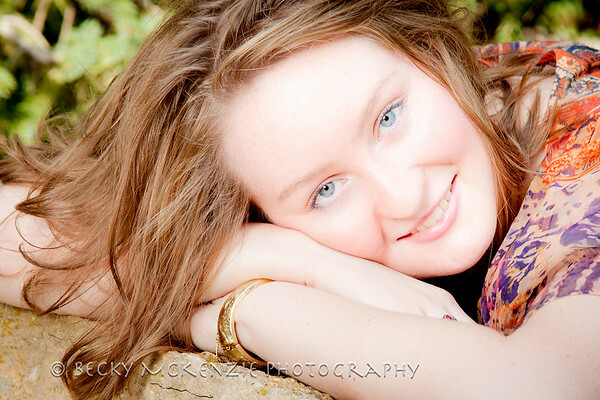 Becky did a wonderful job on my senior photos! She made sure all of the pictures reflected my true self which, to me, is huge. 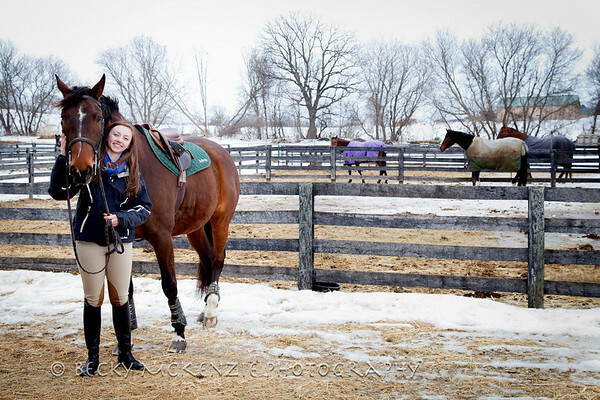 Not to mention, I insisted on having my horse join me for a few photos and Becky was so willing to make the drive to my barn and work with my horse! Becky has a wonderful eye and always takes the most beautiful photos! It was SO difficult to pick just a few of them to print! Becky is so fun to work with and I had a BLAST taking my photos. I can't wait for the next time I take photos with her! Working with Becky was an absolute pleasure. Becky made me feel comfortable in front of the camera, and I had loads of fun. She took into consideration my own creative input as well as her fantastic ideas, creating photos that I loved. It was such a fun experience and if I ever need any more portraits I will be going back to Becky. Becky came to our outdoor site with all her equipment for a professional shoot of all 14 in the family last summer. She asked for names of our grandchildren first to minimize confusion. We were pleased with her work and I picked a whole family picture to give each of our kids - triplets- for their 40th birthday present. I chose a silly one, and then some more serious ones of smaller groups. They are enjoyed a great deal. 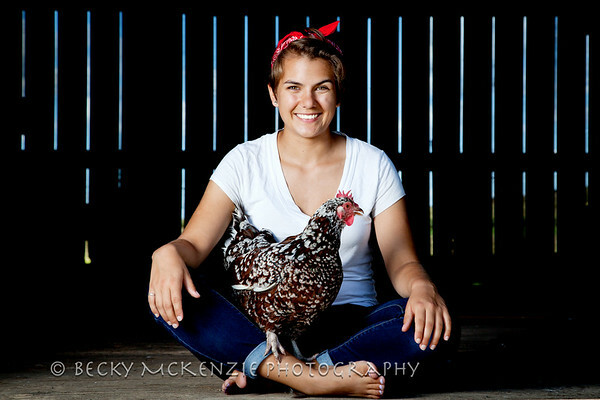 "We have worked with Becky for many years on a wide variety of shoots--indoors, outdoors, Christmas card, Senior photos, commercial--and she is very creative and hard working for her clients! 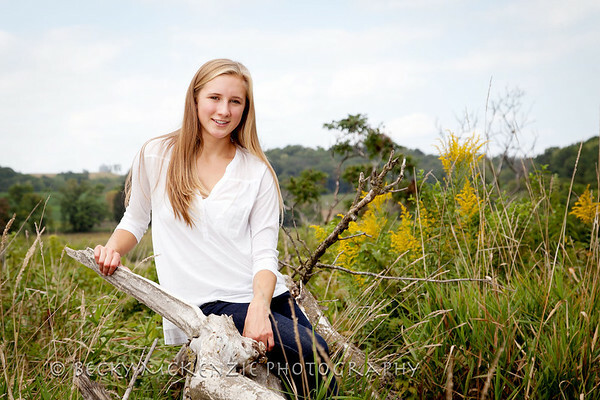 Becky is timely and is a great assist in decision making when choosing photographs." 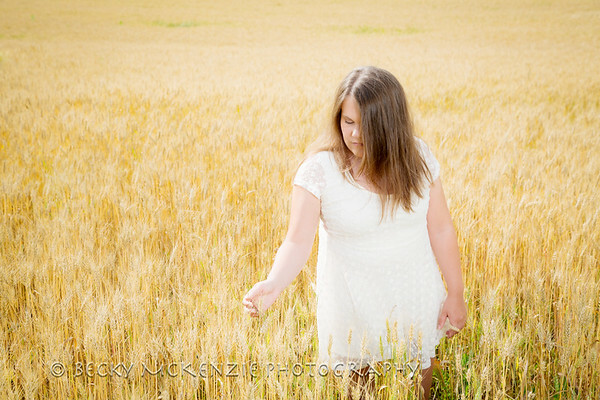 Becky did a beautiful job with our daughter taking her senior pictures. She was patient and kind and took the time to give Gretchen lots of choices in how the pictures were taken. Becky also was prompt with getting proofs and the final pictures to us. We will definitely work with her again in the future! Working with Becky was a great experience!! At first, I was nervous about having my senior pictures taken, but Becky made me feel comfortable the moment we met. She spent time getting to know me so my pictures reflected my personal style and true personality. She picked perfect locations, was fun to work with, and brought so many great ideas to the sessions. I was thrilled with the special moments she captured. 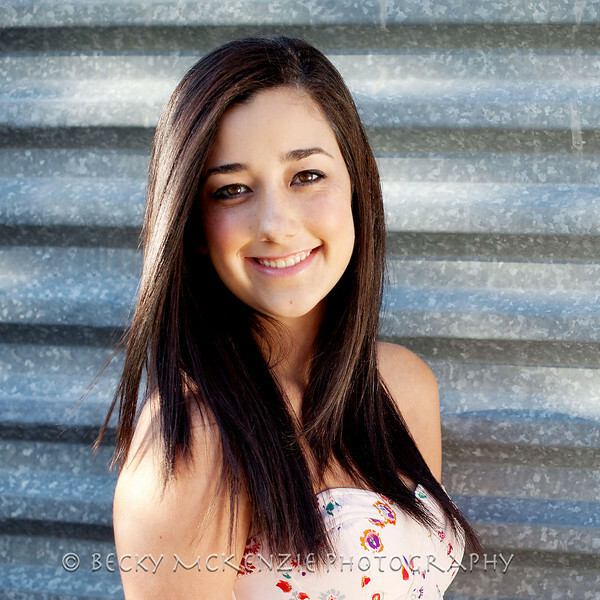 Becky is an amazing photographer and her photos are incredible!! Choosing Becky to take my daughter’s senior photos was the best decision I could have made. She is an incredibly gifted and talented photographer with great creative vision. The session was full of fun and laughter and she made my daughter feel relaxed and comfortable. The images were beyond my expectations!!! Her heart is clearly in every photo. It was a pleasure sharing this special moment with Becky and her beautiful photos will be life-long treasures. I look forward to working with her again in the future…she truly is the best! 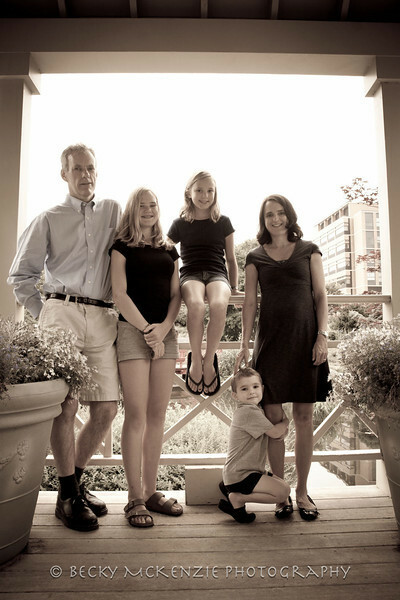 We've had many photos taken by Becky over the years --she's photographed all of our children growing up, has taken our family portraits twice, and took our oldest daughter's senior pictures this year. The best thing about Becky's photography skills --beyond her technical ability to produce great photos-- is her patience and willingness to work with squirmy children as well as her ability to try out different and creative scenes / set ups. 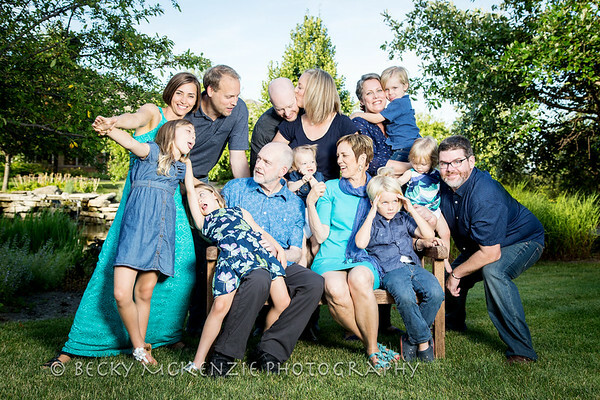 We've always considered ourselves one of those really unphotogenic families, but have nevertheless been very pleased with Becky's ability to work with us. Always on time and professional, Becky is wonderful to work with! "I've had the privilege of working with Becky for almost 4 years now. From shooting my senior pictures to glamour shots to capturing the essence of dance, she has time and time again proved that she is a dedicated business woman with an incredibly creative eye. A true professional with such a gift." "Simply put--there is no other photographer with as good an eye for beauty and detail as Becky McKenzie. All photographers have good equipment and are able to capture crisp, clear shots. But a real artist is able to see the shots that others wouldn't find and pull out the finer elements that make her pictures truly outstanding. Becky is that artist." 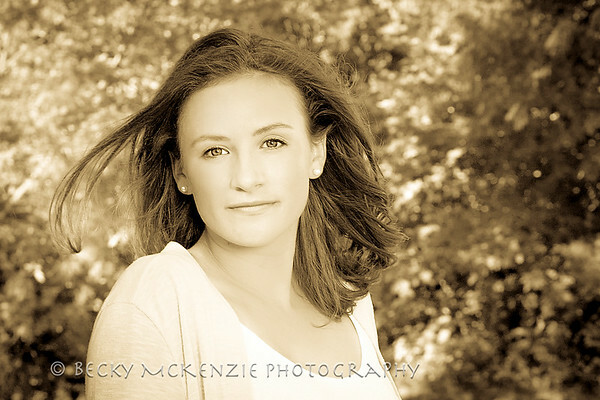 Becky McKenzie is a truly fantastic photographer with fresh ideas and prime photo locations. 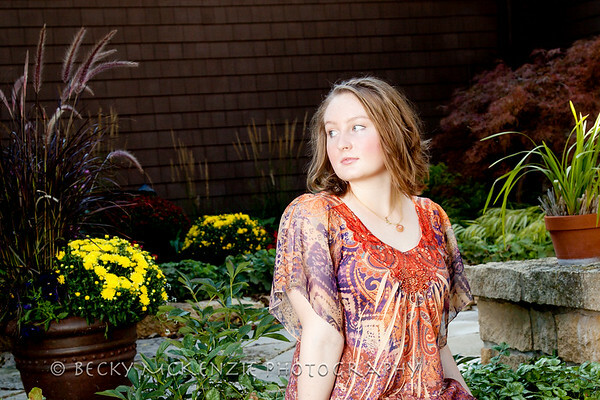 During my experience with Becky in getting my senior pictures, she found a great location and combined that with creative poses to create beautiful, natural pictures of me. There is no doubt that Becky is by far the best local photographer around. I had a great experience with no problems with Becky, and her prices for photo sessions and prints are very reasonable. 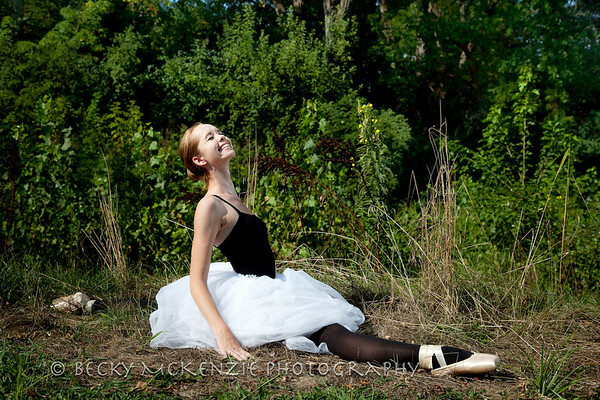 In my next photo experience, I will definitely go back to Becky McKenzie Photography! Becky took photos of our one year old daughter. She had many creative ideas and props for us to choose from. 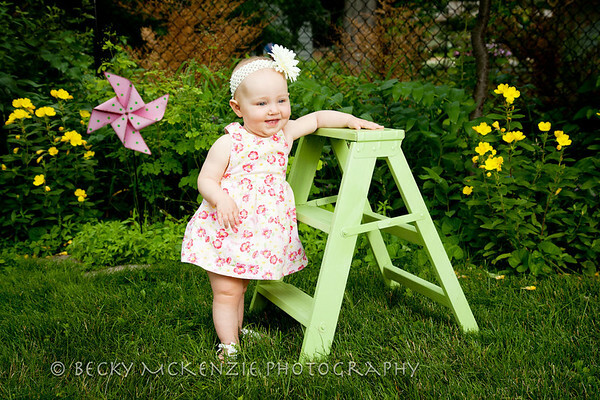 During the photo session, Becky did a great job of capturing many of Addie’s different smiles and expressions. It was very apparent that Becky has experience taking photos of young kids. She took a lot of pictures in a quick manner and then had us change outfits/props giving Addie a little break and catered to her needs. When we sat down with Becky to look over the pictures my husband and I were amazed at just how many great pictures she had gotten. We had a very hard time narrowing down our picture selection! 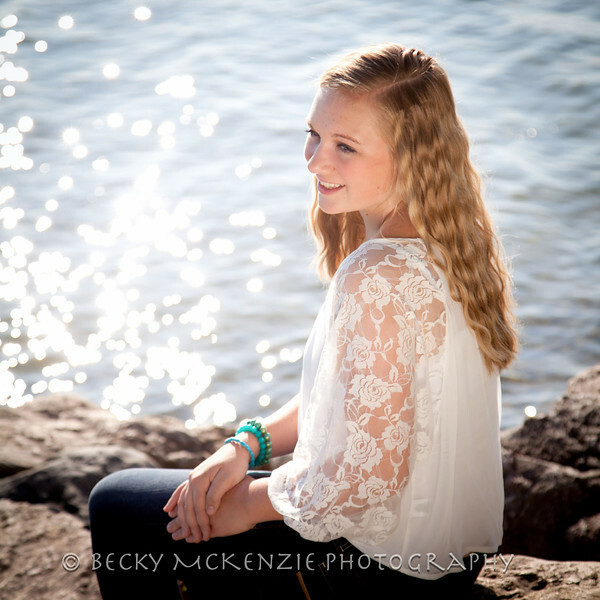 "Becky did an excellent job on my senior pictures! She made sure I had a wide variety of photos to choose from and she gave great advice during the session. When it came to ordering pictures, Becky allowed my family to pick a wide assortment of photos and she went through the entire ordering process with us. My family was very impressed with my senior pictures and the overall experience!" Becky was fantastic to work with. We have used her services for photos of our children and she has had great ideas for location, style tips and props. We have been very pleased with the results. Becky took so many great photos it was hard to choose. We especially like the candid, off-guard moments she manages to capture and some of the different photo effects she applies. We will definitely be a repeat customer.